University of Miami neurorehabilitation expert David S. Kushner, M.D., who helps modern patients recover from brain surgery, chronicles the remarkable skill of ancient Peru’s cranial surgeons. After all, who needs a hole in the head? Yet for thousands of years, trepanation—the act of scraping, cutting, or drilling an opening into the cranium—was practiced around the world, primarily to treat head trauma, but possibly to quell headaches, seizures and mental illnesses, or even to expel perceived demons. More ancient skulls bearing evidence of trepanation—a telltale hole surgically cut into the cranium—have been found in Peru than the combined number found in the rest of the world. 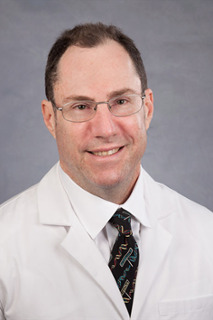 But, according to a new study led by the University of Miami Miller School of Medicine’s David S. Kushner, M.D., clinical professor of physical medicine and rehabilitation, trepanation was so expertly practiced in ancient Peru that the survival rate for the procedure during the Incan Empire was about twice that of the American Civil War—when, more three centuries later, soldiers were trepanned presumably by better trained, educated and equipped surgeons. In their study published in the June issue of World Neurosurgery,“Trepanation Procedures/Outcomes: Comparison of Prehistoric Peru with Other Ancient, Medieval, and American Civil War Cranial Surgery,” Kushner and his co-authors—biological anthropologists John W. Verano, a world authority on Peruvian trepanation at Tulane University, and his former graduate student, Anne R. Titelbaum, now of the University of Arizona College of Medicine—can only speculate on the answer. Whatever their methods, ancient Peruvians had plenty of practice. More than 800 prehistoric skulls with evidence of trepanation—at least one but as many as seven telltale holes—have been found in the coastal regions and the Andean highlands of Peru, the earliest dating back to about 400 B.C. That’s more than the combined total number of prehistoric trepanned skulls found in the rest of the world. 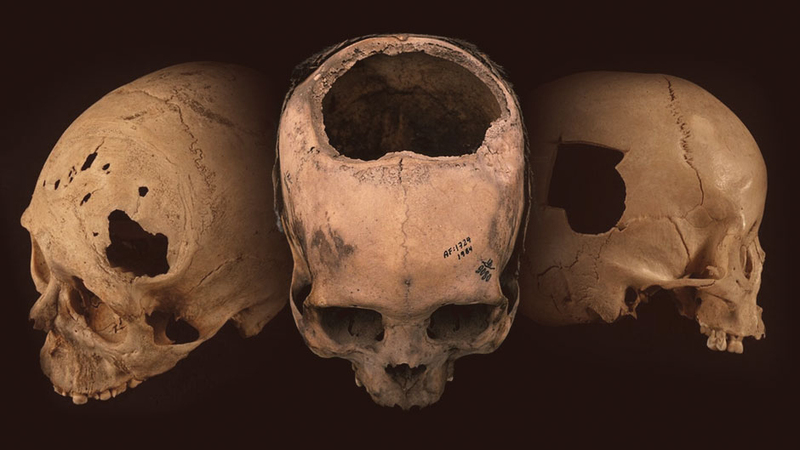 Which is why Verano devoted an entire book, Holes in the Head—The Art and Archeology of Trepanation in Ancient Peru, to the 800-plus skulls, most of which were collected from burial caves and archaeological digs in the late 1800s and early 1900s and reside in museums and private collections today. Those classifications, Kushner, Verano and Titelbaum reported in the World Neurosurgery paper, show how ancient Peruvians significantly refined their trepanation techniques over the centuries. They learned, for example, not to perforate the protective membrane surrounding the brain—a guideline Hippocrates codified in ancient Greece at about the same time, 5th century, B.C., that trepanning is thought to have begun in ancient Peru. Almost as remarkable is how, by the end of World War I, cranial surgery evolved into the distinct profession of neurosurgery, which continues to improve our understanding of brain anatomy, physiology and pathology. As Kushner notes, today’s neurosurgeons regularly cut into the brain to remove tumors and blood clots, reduce intracranial pressure from massive strokes and trauma, repair vascular and structural anomalies and treat a myriad of other complex problems—with great success. Citation: Trepanation Procedures/Outcomes: Comparison of Prehistoric Peru with Other Ancient, Medieval, and American Civil War Cranial Surgery.